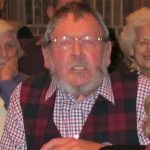 Following the very short official AGM business, we welcomed well-known local character Michael Hubbard, grandson of ‘Winkle’ Ayling the Lickfold ‘Bun King’, long-term postman in this area, previous Petworth Town Crier and regular, well informed and amusing contributor to all our meetings. 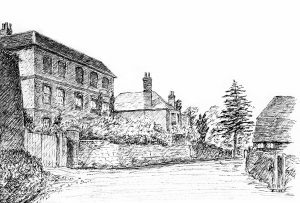 Part of Mike’s childhood was spent in Lickfold, from where he attended Lodsworth School. His father was away a lot during the war, so he spent many happy hours with his grandparents and uncles at the shop/bakery in Lickfold, helping them deliver their bread and buns. Hence his fond attachment to the Lickfold – Lodsworth area. Mike was interviewed by Maggie Benzimra about his remarkably clear memories of Lodsworth parish. Our guest speaker at our November 2018 event was Jeremy Musson, a former architectural editor of Country Life. 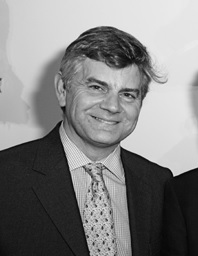 Jeremy is an architectural historian, writer and broadcaster and a recognised authority on British country houses. His talk was based on his recent work revising the Pevsner Architectural Guide to West Sussex. Jeremy had encountered some delightful experiences during his investigations in Lodsworth and the evening was both educational and humorous. 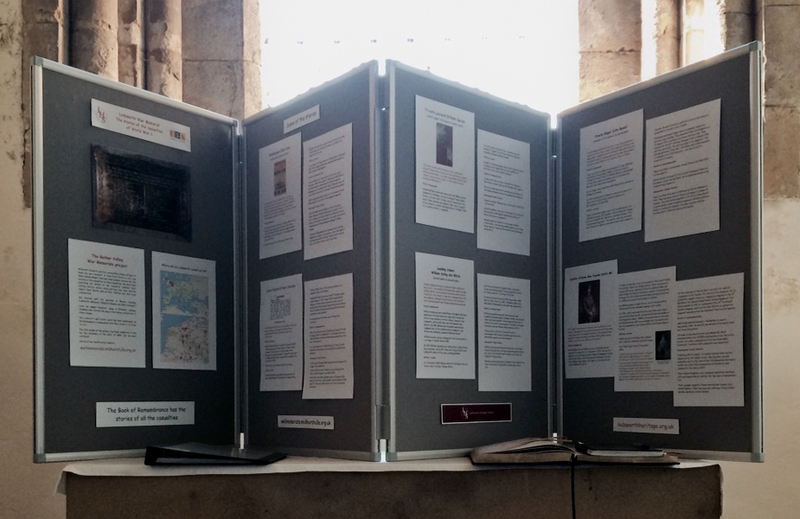 We also had on display and for sale the two new illustrated volumes of St Peter’s Church, Lodsworth – Graves, memorials & monumental inscriptions. At the beginning of August 2018, Richard and Harriet Benson welcomed members of the Society to a viewing of the ‘Old House’ to learn something of its history and architectural heritage. Built in 1728 on the site of an earlier dwelling and a few years after its neighbour the ‘Great House’, what is now called the ‘Old House’ remained with a succession of Hollist families until the redoubtable Hasler Hollist built and moved into ‘Lodsworth House’ in 1844. He possibly took the ‘Lodsworth House’ name with him, leaving the ‘Old House’ to be referred to as such. 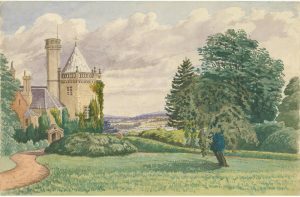 Following his death, his wife Frances moved back into the ‘Old House’ as the ‘dowager’, thereby according it the title ‘Dower House’ for several decades. Jamie gave an appreciation of the architectural heritage, and in particular the classic Georgian style, and described the symmetry and proportions of the elements. We were fortunate to have with us Professor Tony Naldrett and his sister Frances whose grandparents and great grandparents had lived in the house during the 19 and 20C. It was particularly poignant that they were able to mark the occasion by presenting Richard and Harriet with the above 1923 sketch of the building by their father. The Annual General Meeting of Lodsworth Heritage Society was held in March in front of a packed house of members and friends. Over recent years our AGMs have been called ‘AGM Plus’ as the evening always has an added attraction to make sure people enjoy themselves. 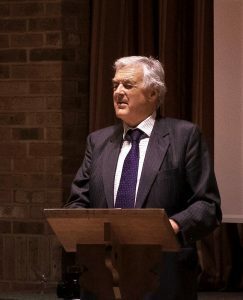 2018 was no exception as Lord Egremont had kindly agreed to give a talk on his dual role – his life at Petworth and his life as a writer. The 1939 Register produced shortly after the start of the Second World War and used to produce ration books, for conscription and later as a basis of registration for the fledgling National Health Service. It shows all the properties in the parish and the people living in each at the time. In August 2017 members of the Society enjoyed a guided tour and reception at Lodsworth House, one of the most interesting historic houses in the parish. It was designed and built in 1838 for Hasler Hollist by country house architect Edward Blore. Our thanks to Jim & Anne Summers for inviting us. 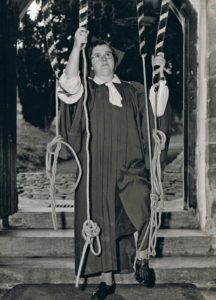 A short video of an interview by Alan Whicker of the remarkable Peggy Martindale who rang all St Peter’s church bells single-handedly – or rather using both hands, an elbow and a foot! A display of all our old photographs of the parish of Lodsworth. 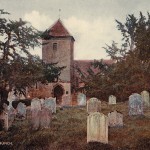 St Peter’s has a fascinating history and in autumn 2016 Jamie Fisher described with illustrations how it and the chapels in the parish had evolved. Ian Buckingham had been researching the incumberts over the 600 years the church has been part of Lodsworth life. 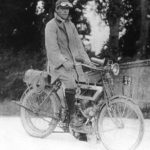 He recounted some delightful stories of our past vicars, including the famous motor cycling journalist ‘Ixion’ shown in the photo. If you missed the event but would like to hear how the buildings evolved or stories of some of the past clergy, send us a message. After service with the Army, SAS and the Omani forces, Ran’s first ‘professional’ expedition was to Norway. This started with a parachute jump onto a glacier, landing in a tiny drop-zone between the crevasse fields and cliffs, and ended with a frightening sounding descent by another glacier and river. Ran’s expedition team included Zena Davies’s brother Bob Powell who was present at the talk. Ran recounted a river expedition from the north to south of British Columbia to celebrate its centenary, the first ever circumnavigation of the world along a line of latitude through both poles, the longest unsupported polar journey in history, and other similarly horrendous sounding exploits. Through these expeditions he has raised over £16.3 million for charity. At the event he was able to meet many old Lodsworth friends, including ‘Little Betty’ Simmonds, Bunny Storrar who lives in the house his family once occupied and Julie Hoskins. Afterwards he autographed copies of two of the over 20 books he has written, ‘Beyond the Limits’ and ‘Cold – Extreme Adventures at the Lowest Temperatures on Earth’. As one villager said afterwards ‘… the talk was most amusing, though it left me feeling a bit feeble’.